Considering your options with swimming from home? Before investing in the usual swimming pool, learn how a swim spa can deliver the same benefits for less. Here are three ways to enjoy a swim spa for year round health. Cardiovascular exercise, like swimming, strengthens the heart while toning all areas of the body at once. More effective than the gym and more fun too, even amateur swimmers benefit, with underwater treadmills. 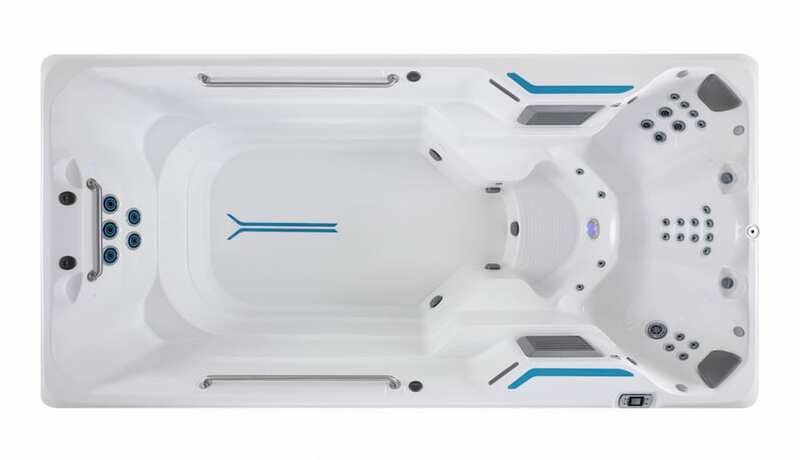 Modern swim spas are equipped with a complete hot tub at one end and a never-ending current at the other for an all in one swim-spa solution. Exercise and enjoy an invigorating workout – swim, use a treadmill, even lift weights. Then, slip into warm, massaging relief. Using a swim spa on a regular basis is a great way to ease tension and stress, sleep better, and even boost mood. Swimming releases harmful toxins from the body, for instant rejuvenation and well being.